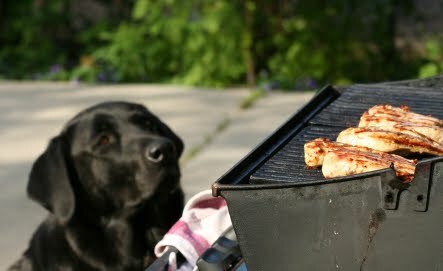 Pets are often a part of our summertime gatherings, and we often feel the need to include them. This usually means that they partake in the rich meals we associate with these parties. Besides an upset tummy, potential exposure to toxic foods such as chocolate or grapes, or ingestion of dangerous items such as bones, there is another danger when your pet overeats: pancreatitis. Pancreatitis is inflammation of the pancreas, the organ that is responsible for releasing enzymes that aid in the digestion of food. Pancreatitis can be brought on by many causes, sometimes unknown, however overindulgence does seem to trigger it in some dogs. Signs of pancreatitis can include vomiting, diarrhea, abdominal pain, loss of appetite, and/or fever. Flares can range from mild and self-limiting to severe and requiring hospitalization and intensive care. Very bad cases can cause scarring of the pancreas, resulting in diabetes mellitus. The safest bet is to limit the amount of “people food” you pet is allowed. Find other ways to include your four-legged friend this summer! If you think your dog may have eaten something he shouldn’t have be sure to let your veterinarian know, or give us a call. Kennel cough is often caused by a complex of infectious viruses, often in combination with the bacteria Bordetella. While the kennel cough vaccine protects against Bordetella (and sometimes Parainfluenza virus), there are several other culprits that can be involved. This means that just because your dog is vaccinated does not mean that it cannot develop kennel cough (Although vaccinated dogs often develop a much less serious illness). Dogs kept in crowded conditions with poor air circulation are more likely to contract the disease. There are two types of kennel cough vaccines- injectable and intranasal. The injectable vaccine needs to be boostered 3-4 weeks after the initial dose to be effective. The intranasal vaccine requires at least 4 days in order to provide protection to your pet. This means you should not wait until the last minute to vaccinate your pet. Intranasal vaccination can produce a very mild, self-limiting case of kennel cough. Kennel cough takes 2-14 days from the time of exposure to the development of clinical signs. If your dog is already incubating kennel cough, vaccination will not stop the disease. 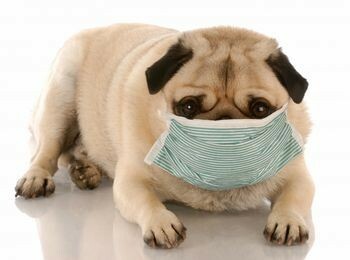 Most cases of kennel cough are not serious and resolve quickly with treatment. Occasionally, though, serious complications can develop. If your pet is not doing better soon after starting treatment, let your veterinarian know immediately. Never leave your pet in an enclosed area such as a car for any length of time, even just a few minutes. Temperatures can rise quickly, resulting in severe heat exhaustion. Always be sure your pet has access to fresh, cool water. This may mean planning ahead and bringing a portable dish and water bottle dedicated to Fido. Make sure your pet can get out of the heat if s/he wants to do so. This may mean a shady spot in the yard or the ability to retreat indoors if the sun becomes too intense. Try to do outdoor activities early in the morning or in the evening when temperatures tend to be lowest. Be on the lookout for signs of overheating. These may include heavy panting or difficulty breathing, drooling, and weakness. Unchecked these can progress to diarrhea, vomiting, lack of responsiveness, and seizures. If you think your pet is suffering from heat stroke, contact your veterinarian right away. Happy birthday America! 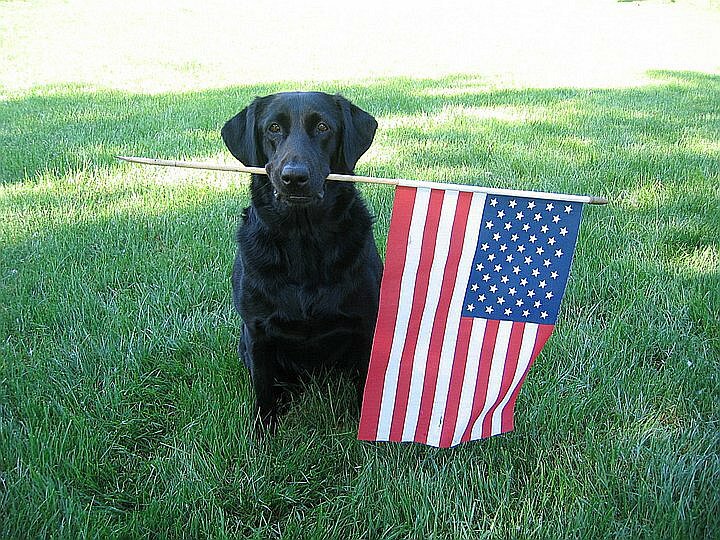 The 4th of July is an exciting holiday, but it can be riddled with dangers for our furry friends. Some of them are more obvious than others. Make sure that you know the big ones to help your pets steer clear of any holiday mishaps. Fireworks – This one is kind of a no-brainer. After all, lighting fireworks can be dangerous for people, too. Did you realize that even unlit fireworks pose a danger to your pet? Ingestion can be toxic. Help you pet avoid burns, trauma, and even death by just keeping them indoors. People food – Many favorite picnic and party foods contain ingredients such as chocolate or grapes that can be deadly. Even overdoing it with treats or fatty foods can lead to vomiting, diarrhea, or more serious conditions such as pancreatitis. 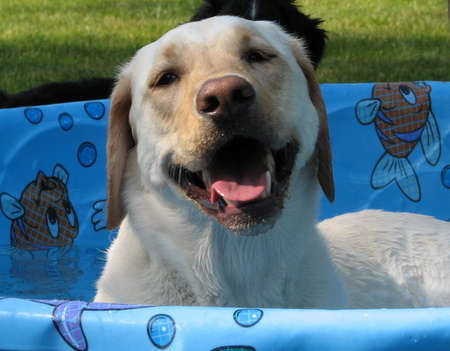 The heat – Pets should stay indoors when possible and always have access to fresh water and shade. Never leave your pet unattended in a car. Themselves! – The loud noises and chaos of the holiday can lead to even the most docile pet becoming frantic. Make sure your pet has a safe haven within your home and keep anything dangerous out of reach. Some pets may even require a sedative to get them through the holiday. Alcohol – Be sure that any alcohol around during the holiday festivities is kept out of reach. Lighter fluid and matches – Lighter fluid can be irritating to the skin and ingestion of either matches or fluid can lead to serious problems in pets. Bug sprays and insect repellants – Many human-use bug sprays can cause problems for pets such as digestive upset or even neurological problems. Citronella products and lead to problems if ingested or inhaled. Glow sticks – These fun holiday toys can be harmful if swallowed due to the risk of gastrointestinal obstruction or irritation. Decorations – Red, white, and blue décor can look like a fun chew toy! Keep decorations out of paws reach. No ID – Pets that run when scared are more likely to become separated from their owners. Be sure your pet is wearing current identification at all times. If your pet isn’t microchipped you should consider it, and if he is you should be sure that your contact information is up-to-date.